Silence, it seems, is more affordable than ever. Headphones have never been more popular, but surprisingly few people appreciate the value of good noise cancelling technology. It’s been around for years, first in airline cockpits so pilots can hear each other, and more recently on products primarily by Bose designed for the first and business class cabins. Now the trend is for wireless. The Sennheiser HD 4.50 BTNC headphones use wireless Bluetooth, dampen all ambient sound around you (typically for loud environments like planes, trains and offices), and they keep on going for 20+ hours. They’re also small, foldable and lightweight at a mere 238g. They also use come with a soft pouch. Much easier to travel with then the competition, which are bigger and use hard cases. Yuck! It’s really important not to confuse noise cancelling with noise isolation; the latter, often hyped-up by earphone brands, is usually nothing more than some snug fitting ear tips. The Sennheiser HD 4.50 BTNC use NoiseGuard tech, which works very well; TravGear was able to work all the way through a long journey on a busy train recently. Rivals that the Sennheiser HD 4.50 BTNC must beat are the Bose QuietComfort 35, which cost UK£330/US$350 and the Sony MDR-1000X, which sell for UK£289/US$350. So the Sennheiser HD 4.50 BTNC are much cheaper, and much easier to travel with; what’s the catch? NoiseGuard is good, really good, but perhaps 5% less effective than the tech used by Bose and Sony. But TravGear would still choose the Sennheiser HD 4.50 BTNC on the front; it’s not much different. However, what the Sennheiser HD 4.50 BTNC does lack is ultimate comfort. While the headband lacks a little padding, the ear-cups themselves are a little too narrow, slotting over ears rather than doming them. That probably helps the noise cancelling, but TravGear’s ears did get a little overheated after an hour or so. 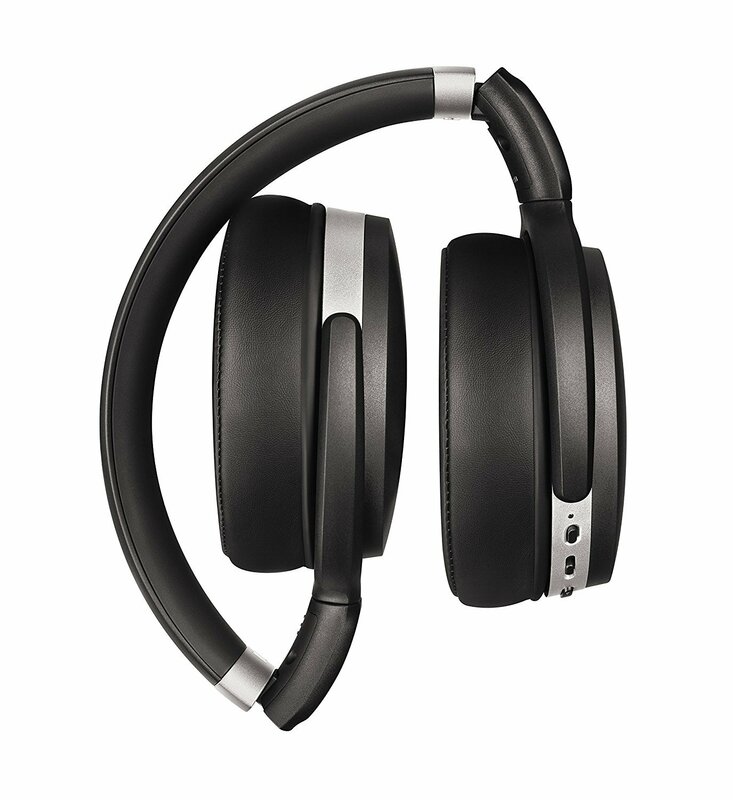 While they might be great for productivity, we’re not convinced we could sleep with these headphones on. Still, anyone after productivity-pushing noise cancelling headphones that don’t ask the extortionate price-tag of Bose and Sony, the Sennheiser HD 4.50 BTNC are what you’re after; the best value noise-cancelling headphones yet.